For cookie decorating, I use Royal Icing. 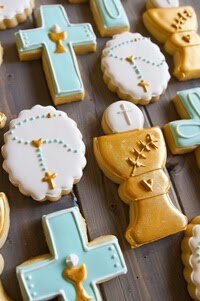 I've seen cookies decorated with fondant and just recently heard of rolled buttercream, but Royal Icing works for me. Royal Icing is an icing that dries hard and opaque, so cookies can be stacked and icing stays pretty when cookies are packaged. It's easy, too...it only takes 3 ingredients: meringue powder, water and sugar (flavoring is optional). Combine the meringue powder and water with a whisk attachment using an electric mixer. Beat until peaks begin to form. Sift in the powdered sugar and beat on low to combine. Increase speed to high and beat until stiff peaks form. (You should be able to remove the beater from the mixer and hold up and jiggle without the peak falling.) If using an extract, add it then beat for a few more seconds to incorporate. This "stiff" icing is perfect for outlining and even for building gingerbread houses and monogramming. To fill in your cookies, add water to your icing a little at a time until it is the consistency of syrup. 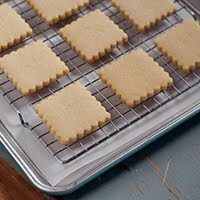 This technique of filling a cookie with thinned icing is called "flooding." Click here for more details. 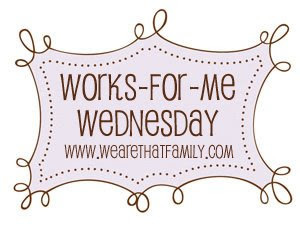 Be sure to check out all of the Works for Me Wednesday ideas at We are THAT Family. I put a teaspoon of cream of tartar in my royal icing. Gives it just a little more body. Love your pics. Wow -- I've never sifted the confectioners sugar, but I'm going to try it this weekend. One thing I'd love to know is how to get the icing to dry more quickly. I always leave the cookies out to harden for 8 hours. Is there a shortcut? I've always wanted to try that, but I never have. Thanks for the nudge! Thanks for such great tips! A few questions, does your icing ever separate when you make it ahead of time? Mine seems to always do that. How far in advance can you decorate cookies and they still taste fresh? 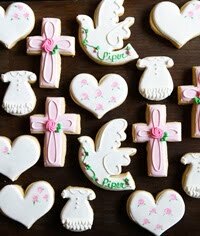 Also, have you ever frozen decorated cookies, and if so how do they turn out? I have to bake and decorate about 50 next week and the more I can do ahead of time the better! Your cookies are so beautiful. I always really appreciate your tips! Thanks for your icing tips!!!! 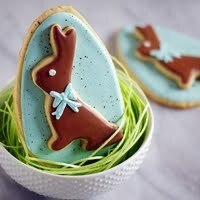 I love how easy it is, and hope that with practice my cookie decorating can look as perfect as yours!!!! Those are so cute! Thanks for all the great tips! amyk8gapgirl...in my experience, the icing will separate if left overnight at room temperature. Keeping it refrigerated seems to work for me. I think the cookies taste their best within a week of baking. They freeze perfectly, iced or not, so that is an option for making ahead of time. Just don't put them in the fridge. Who knew there was more than one recipe for royal icing? I use a different proportion of meringue powder and water per pound of 10x. AND I use the paddle, not the whisk. Maybe I'll try the whisk. One tip from me though, instead of plastic wrap, dampen a clean hand towel and lay it over your bowl. No crusties EVER!! OK, I'm sure this is an old post... but I'm at a loss! At Christmas time I've made royal icing per the directions on the meringue container and it came out perfect! it is absolutely driving me nuts and not working at all for my cookie project. Any suggestions? Tori...feel free to email me directly. 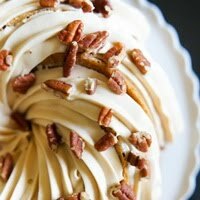 Is this the thinned icing or piping icing? What meringue powder are you using? How long can you store the icing? Should you put it in the fridge or leave at room temp? - what is this ? I am sorry and know it is a dumb question but I am really new to baking. I have been asked to make 150 cookies in the shape of dollar signs for an Andy Warhol art collection opening this Saturday. I proably won't even receive the cutters until Thursday morning so time is of the essence. My question is, how long does the royal icing take to dry? If we decorate the cookies on Saturday morning, will they be dry and ready to stack by 4:00? 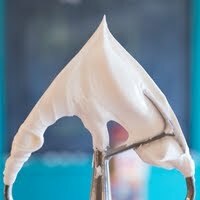 I've never made or used royal icing form meringue powder. Always used egg whites and had it work perfectly. egg whites plus powdered sugar and a little water. I know lots of people are scared off by the raw eggs though. My icing keeps separarting while the icing is drying on the cookie. I'm not sure what to do but I have cookies for an event tomorrow and need to make more cookies tonight. Any suggestions on how to keep the icing from separating while the cookies dry? Hey kd....it sounds like maybe your flood icing is thinned too much. 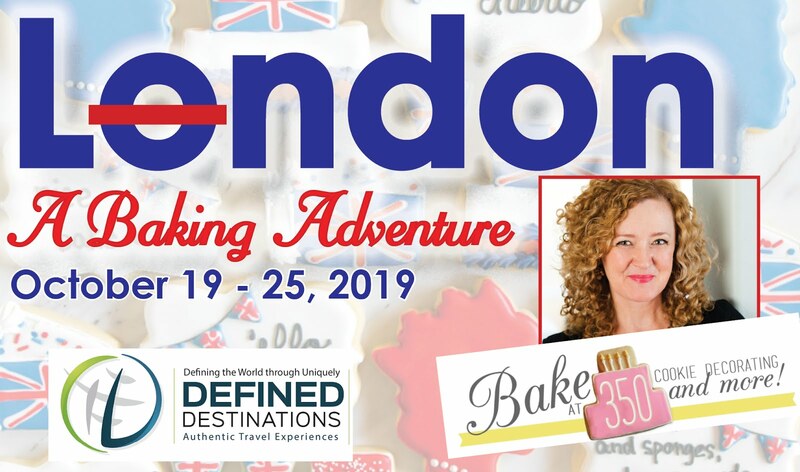 Hop on over to www.universityofcookie.com and watch the first vlog on thinning icing for flooding. That's my best guess. I wish I could pop over to your house and take a look. Good luck with your cookies!!! I'm having trouble with my royal icing recipe. It called for 3 TBS meringue powder (I've made it with egg whites just fine, but i thought I'd try the meringue powder). The powerless was at least year old, but it didn't have an expiration date so I used it anyways and since I was icing shortbread I substituted lemon juice for water in the recipe. Problem: I made them last night and they haven't hardened! I need to bag and mail them today...is there anything I can do to speed up the process and do you think they'll ever harden? Hi Maddie....well, I'm not sure. I don't know if you are referring to piped royal icing or your filled/thinned royal icing. If it is the thinned icing, my bet is that it was too thinned. I've never substituted lemon juice for water, so I'm not sure how that would affect it. It it's your piped icing, then I'm really stumped. My guess would be the lemon juice. I don't know about the shelf-life of meringue powder...I tend to go through it pretty quickly. I'm sorry. Well I'm late to the conversation BUT- I'm a veteran cookier but have not had good luck storing leftover icing (in piping bags) in the fridge without it separating out. Especially the more vibrant colors. Any hints on how to improve the stability of the shelf life? I know when I've worked in professional bakeries we used a white icing that came in big buckets (forget what the brand was- we called it goo)that stuff never changed, tasted awful tho. 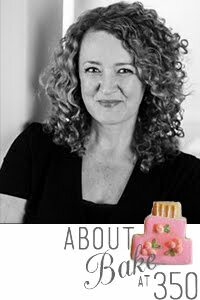 Ok so I'm coming REALLY late to this conversation but, I'm a veteran cookier but I have 3 kids now and they are into EVERYTHING so I'm trying to streamline the process. In the past when I've put leftover icing (in piping bags with tips and "lids" on) into the fridge they've separated out in just a few days. I'm wanting to make a big batch of white and just tint as I go. Any hints on how to keep it from separating? We watched quite a few tutorial videos with my 5-year-old daughter, and we love them! We want to give them a try, but I am writing from Hungary. I don't think you can get meringue powder here. Do you ever make royal icing with egg whites? I tried to find a recipe of yours with egg white, but did not succeed. Can you help me, please? Thanks? Hi, first of all thank you for your tutorials! I`ve learned a looot from you!! May I have a question here? So I want to use black RI for outlining. for the first sight it looks good, nice to work with them,but after it is dried (!) if I touch it, falling down the half of it. Why? Other colours never makes it after drying..
is it possible to re-thicken royal icing that has been flooded? Wow this is a really old post and sorry for the late comment but i have a quick question! Will refrigerating the icing help thicken it? I think I added a bit too much water and I'm out of powdered sugar. Do you have any suggestions? Thank you!